Everyone loves a good freebie, right? 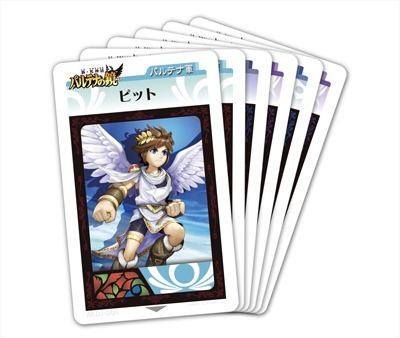 Well US Club Nintendo members are currently entitled to three free Kid Icarus: Uprising augmented reality cards. The cards can be used on a Nintendo 3DS console, and allow players to scan in the Great Reaper, Drill Arm and Palutena cards. Unfortunately it appears that the UK Club Nintendo store is not currently stocking these cards. Hopefully we'll get them in the near future! No doubt the cards are in limited supply, so you can order yours here.